Hi, I’m Chelsea, a millennial married lady & aspiring Food Network celebrity chef/Conan O’Brien. Welcome to my inner sanctum, where I post about the hard-hitting issues that really matter in today’s political climate: stand-up comedy, cute outfits, and soup recipes. 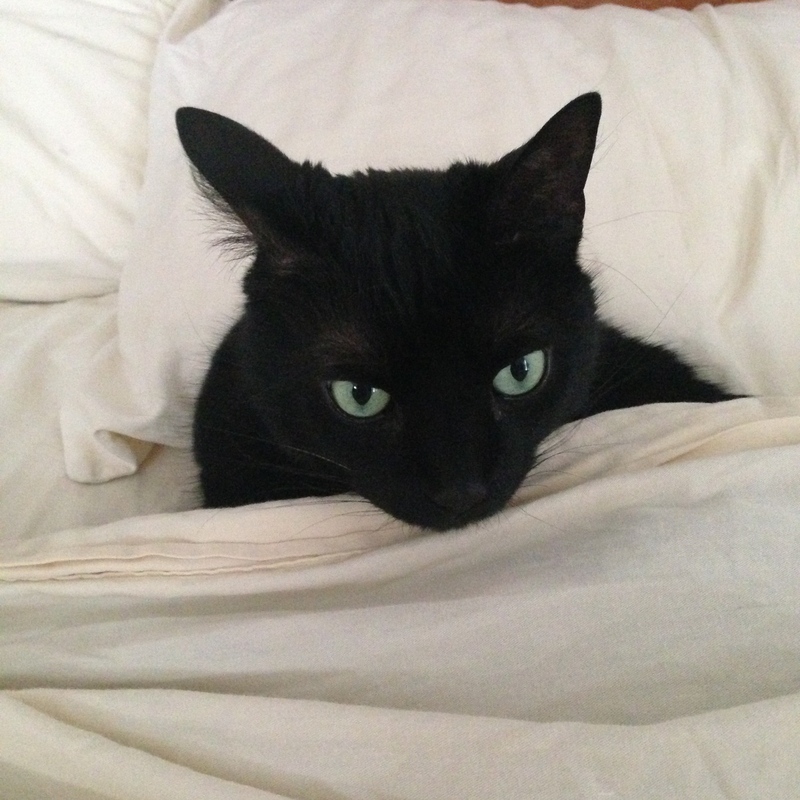 In 2013 I inherited the world’s tiniest, cutest black cat named Della, and the rest is Herstory. I tweet, ‘gram, snap, & pin @highwaytochel. Banner image via Paris Digital Prints on Etsy. Donate to the ACLU here and Planned Parenthood here. Topple the patriarchy. Hurry up with my damn croissants.